Value added metal processing services provide the extra steps that are essential to successfully completing any type of electroplating job. Certain projects require the use of secondary electroplating services to complete them to the proper specifications. This can be accomplished as an initial service or as a secondary service after the completion of the initial electroplating or chemical film deposition process. Whether it is analytical lab, surface preparation, parts cleaning, testing, passivation, electrodeposition analysis or repairs, electroplating value-added services can provide the benefits your project requires. 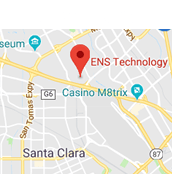 Contact us for more information regarding our additional metal processing services, or call ENS Technology at (408) 496-0740 with any questions that you may have. ENS Technology’s analytical metal processing services provide the assurance that your electroless nickel coatings will meet or exceed your project requirements. Contact ENS Technology for Electroplating Value-Added Services Today. Contact us for more information regarding our additional metal processing services, or request a quote for an in-depth price analysis today.